There are nearly 500,000 Shriners now. They gather in Temples, or chapters, throughout the United States, Canada, Mexico and the Republic of Panama. There are 22 Shriners Hospitals for Children — 18 orthopaedic hospitals, three burn hospitals, and one hospital that provides orthopaedic, burn and spinal cord injury care. 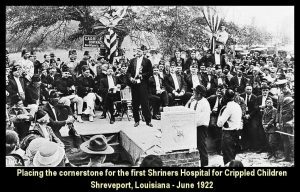 These hospitals have cured or substantially helped more than 700,000 children — at no cost to parent or child — since the first Shriners Hospital opened in 1922. 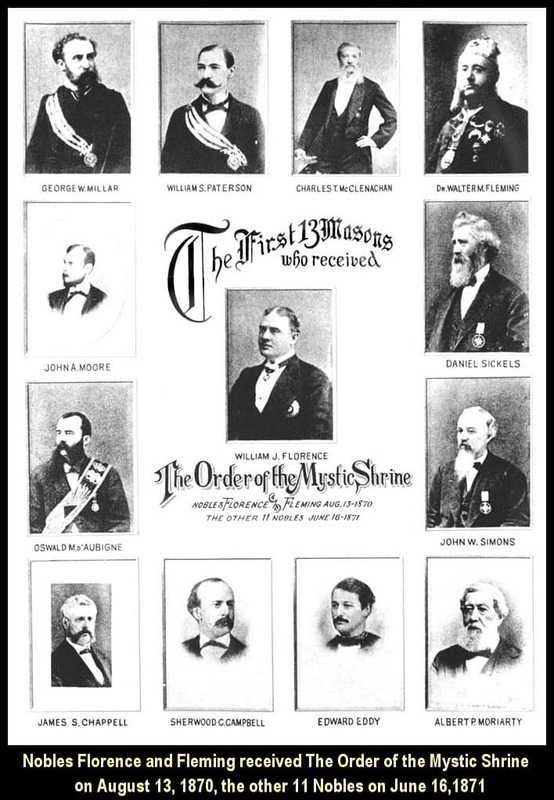 On September 26, 1872, in the New York City Masonic Hall, the first Shrine Temple in the United States was organized. Brother McClenachan and Dr. Fleming had completed the ritual and proposed that the first Temple be named Mecca. 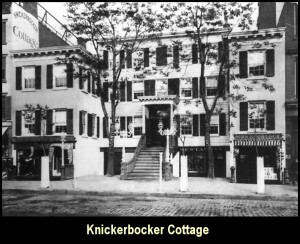 The original 13 Masons of the Knickerbocker Cottage lunch group were named Charter Members of Mecca Temple (Mecca Shriners). Noble Florence read a letter outlining the “history” of the Order and giving advice on the conduct of meetings. 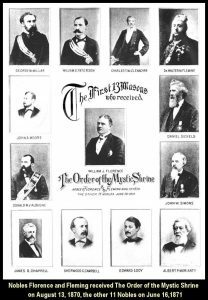 The officers elected were Walter M. Fleming, Potentate; Charles T. McClenachan, Chief Rabban; John A. Moore, Assistant Rabban; Edward Eddy, High Priest and Prophet; George W. Millar, Oriental Guide; James S. Chappel, Treasurer; William S. Paterson, Recorder; and Oswald M. d’Aubigne, Captain of the Guard. At a meeting of Mecca Shriners on June 6, 1876, in the New York Masonic Temple, a new body was created to help spur the growth of the young fraternity. 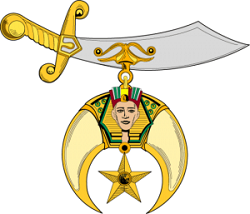 This governing body was called “The Imperial Grand Council of the Ancient Arabic Order of the Nobles of the Mystic Shrine for the United States of America.” Fleming became the first Imperial Grand Potentate, and the new body established rules for membership and the formation of new Temples. The initiation ritual was embellished, as was the mythology about the fraternity. An extensive publicity and recruiting campaign was initiated. In 1919, Freeland Kendrick (Lu Lu Shriners, Philadelphia) was the Imperial Potentate-elect for the 363,744 Shriners. He had long been searching for a cause for the thriving group to support. In a visit to the Scottish Rite Hospital for Crippled Children in Atlanta, he became aware of the overwhelming needs of crippled children in North America. 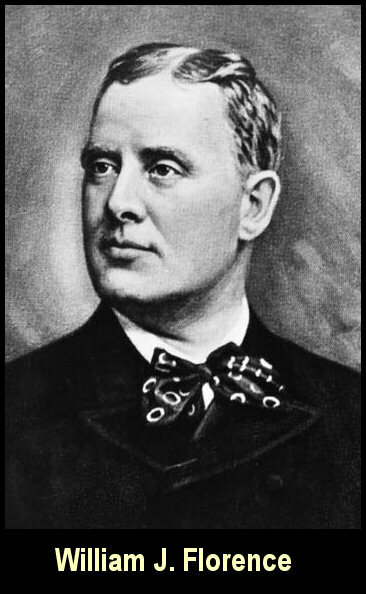 At the June 1919 Imperial Session, Kendrick proposed establishing “The Mystic Shriners Peace Memorial for Friendless, Orphaned and Crippled Children.” His resolution never came to a vote. As Imperial Potentate in 1919 and 1920, he traveled more than 150,000 miles, visiting a majority of the 146 Temples and campaigning for an official Shrine philanthropy. The climax came at the June 1920 Imperial Session in Portland, Oregon. 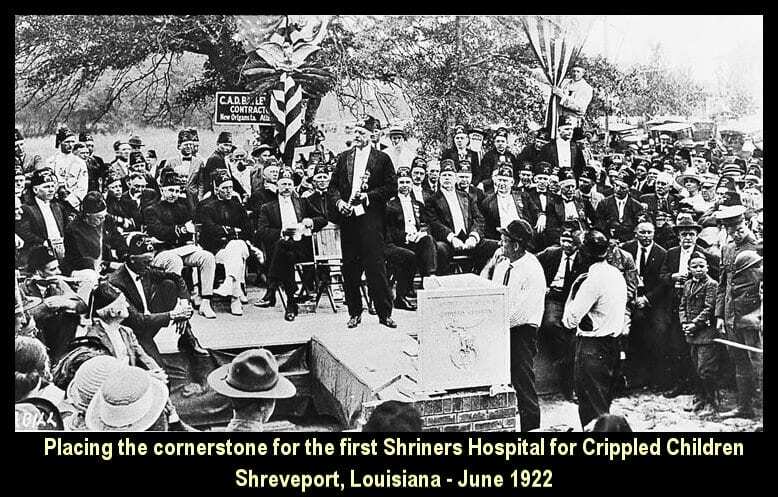 Kendrick changed his resolution to one establishing the “Shriners Hospital for Crippled Children,” to be supported by a $2 yearly assessment from each Shriner (now $5 per year). From 1950 to 1960, the Shrine’s funds for helping children increased rapidly. At the same time, the waiting lists of new patients for admission to Shriners Hospitals began to decline, due to the polio vaccine and new antibiotics. 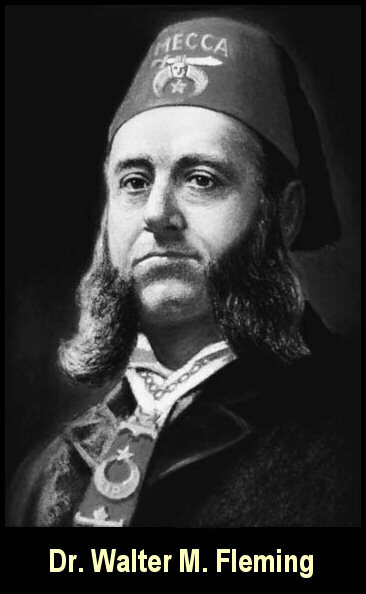 Thus, Shriners found themselves able to provide additional services, and Shrine leaders began to look for other ways they could help the children of North America. Shriners Hospitals had always engaged in clinical research, and in the early ’60s, the Shrine aggressively entered the structured research field and began earmarking funds for research projects. By 1967, Shriners were spending $20,000 on orthopaedic research. Today, the annual research budget totals approximately $25 million. Shrine researchers are working on a wide variety of projects, including studies of bone and joint diseases, such as juvenile rheumatoid arthritis; increasing basic knowledge of the structure and function of connective tissue; and refining functional electrical stimulation, which is enabling children with spinal cord injuries to have limited use of their arms and legs. A special committee was established to explore areas of need and found that burn treatment was a field of service that was being bypassed. In the early ’60s, the only burn treatment center in the United States was part of a military complex. The committee was ready with a resolution for the 1962 Imperial Session in Toronto. The resolution, dated July 4, 1962, was adopted by unanimous vote. A new burn treatment center opened in 1997, in the new Shriners Hospital in Sacramento, Calif. This newest Shriners Hospital provides orthopaedic, burn and spinal cord injury care, and serves as the Shrine’s primary burn treatment center in the western United States. The Sacramento Hospital also conducts research into all three disciplines. Since the Shriners opened their burn hospitals in the 1960s, a burned child’s chance of survival has more than doubled. They have saved children burned over 90 percent of their bodies. The techniques they have pioneered to prevent the crippling effects of severe burns have made a normal life possible for thousands of burn victims. During the 1980s, Shriners Hospitals initiated a number of new programs in their efforts to continue providing high-quality pediatric orthopaedic and burn care. One of the most significant was the 1980 opening of the spinal cord injury (SCI) rehabilitation unit at the Shriners Hospital in Philadelphia — the first spinal cord injury unit in the United States designed specifically for children and teenagers who suffer from these injuries. By 1984, two additional spinal cord injury units were operating in the Shriners Hospitals in Chicago and San Francisco. In 1997, the San Francisco Hospital, including the SCI unit, was relocated to the newest Shriners Hospitals in Sacramento, Calif.
At the Shrine’s SCI units, children receive long-term rehabilitative care and physical and occupational therapy to help them relearn the basic skills of everyday life. Counseling sessions help patients learn to cope with the emotional aspects of their injury and help them lead fulfilling lives by emphasizing the abilities they still have. Patients may enter an SCI unit apprehensive about the future, but after months of encouragement and support, they often leave with a sense of hope and optimism. An ongoing study at the Philadelphia Hospital is giving children with cerebral palsy and spinal cord injuries a sense of hope as well. Researchers have found that when using functional electrical stimulation (FES), the posture of a child’s foot and ankle is improved. In turn, it has a positive effect on their gait, making walking an achievable goal. Another important undertaking that was begun during the 1980s was an aggressive rebuilding and renovation program, involving the construction of new facilities and extensive renovations throughout the Shriners Hospital system. In 1981, the Representatives at the 107th Imperial Council Session approved a major expansion and reconstruction program, which included the construction of a new orthopaedic hospital in Tampa, Fla. The opening of the Tampa Hospital in 1985 — the first new hospital added to the Shrine system since the 1960s — brought the Shriners Hospital system back to 22 hospitals. Since 1981, 21 Shriners Hospitals have either been rebuilt or totally renovated. In 1998, the Joint Boards decided to build a new facility for the Mexico City Hospital, which underwent extensive renovations in 1989. During the 1980s, the Los Angeles and Springfield Shriners Hospitals expanded their prosthetic services with regional prosthetic research programs. Both programs conduct research into ways to improve or create new prosthetics and help rehabilitate limb-deficient children. These two programs, in addition to various other research programs throughout the 22 hospital system, join the prosthetic and orthotic labs throughout the Shriners Hospital system in ensuring that Shriners Hospitals remain leaders in the field of children’s orthotics and prosthetics. 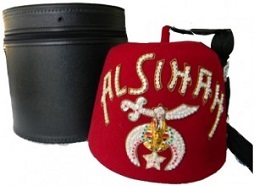 In 1996, Shrine Representatives took another significant step when they voted to officially change the name of their philanthropy to “Shriners Hospitals for Children.” In a move that permanently eliminated the word “crippled” from the organization’s corporate name, the Representatives made the change in an effort to have the name better reflect the mission of Shriners Hospitals and the expansions of services that have been added over the years, including the opening of the burn hospitals and the addition of programs of comprehensive care for children with myelodysplasia. The new name is intended to reflect the philosophy of Shriners Hospitals, which provide medical care for children totally free of charge, based only on what’s best for the child. The new name, likewise, does not label children in any way, but simply recognizes them for what they are: children. Though they have a new name, Shriners Hospitals continue to focus on their mission of helping children lead better lives. As they look to the future, the Joint Boards are committed to maintaining Shriners Hospitals for Children as leaders in children’s pediatric orthopaedic and burn care. The East/West Shrine College All-Star Football Game was established in 1925, in San Francisco with the motto “Strong Legs Run So Weak Legs May Walk.” Throughout its history, this traditional post-season game has raised millions of dollars for Shriners Hospitals and helped millions of people become more familiar with the story of Shriners Hospitals. In this, as in other Shrine football games, the young players visit patients at, so the players themselves know the real purpose of the game. The 1930 Session was the Shrine’s own antidote to the pervasive gloom of the Great Depression. But it was only temporary. Not even Shriners could escape the Depression. For the first time in its history, the Shrine began to lose members — the Nobles just could not pay their dues. Until 1928, the Shrine’s national offices were in Richmond, Va. With the growth of the fraternity, there were increasing pressures to locate Shrine headquarters in some city that would be more convenient to all Temples. Thus, in 1958, the building at 323 North Michigan Avenue, Chicago, was purchased. At a special Session held April 10th, 1978, in Tampa, Fla., representatives voted to relocate Shrine Headquarters to 2900 Rocky Point Drive, Tampa. The Tampa headquarters houses the administrative personnel for both the Iowa (fraternal) and Colorado (Shriners Hospitals) corporations, fraternal and hospital records, the attorneys who monitor the many estates involved in Shriners Hospitals for Children, and the various other departments that support the day-to-day operations of the Shrine fraternity and Shriners Hospitals for Children. An expansion project was begun in 1987 to meet the ever-increasing needs of the Shrine and Shriners Hospitals. 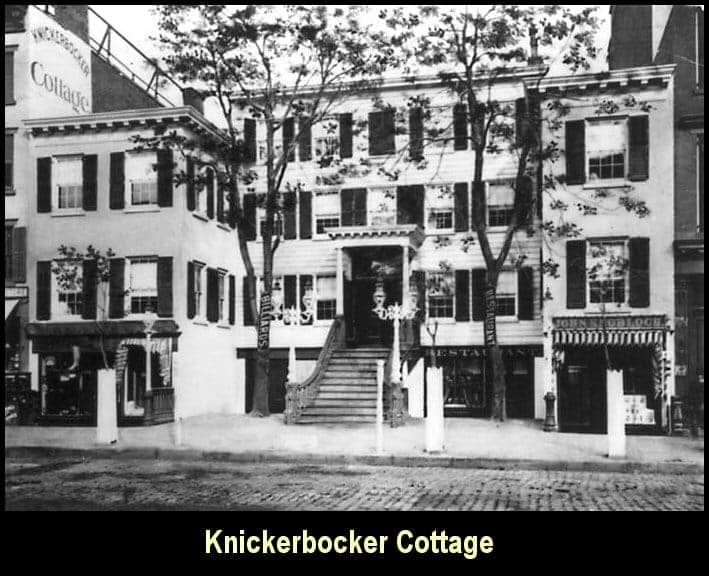 A third wing, or pod, was added to the rear of the existing building, and the board room and executive offices for the fraternity and hospital system were relocated to the new area, allowing several departments to expand their offices in the original sections. The new, enlarged board room provides space for meetings of the Joint Boards and their committees, and for conferences. In 1993, the Commemorative Plaza was built, with its larger than life-size statue of a Shriner carrying a child. The statue represents what has become known as the “Editorial Without Words,” probably one of the best-recognized symbols of Shriners Hospitals for Children. The polished marble plaza features a semi-circular wall engraved with the names of every Imperial Potentate (Chief Executive Officer) of the Shrine and his year served. In addition, below the statue is a cylindrical base engraved with the names of the 22 Shriners Hospitals and surrounded by a fountain. Around the fountain are large inlaid marble squares bearing the engraved names of each of the Shrines 191 Temples, each Temple’s city and state, year of incorporation and the Shrine insignia (the scimitar). To the rear of the Commemorative Plaza and in front of the headquarters building are four flag poles topped with flags of the United States, Canada, Mexico and Panama, representing the countries with Shrine membership. Shrine Temples are located throughout the United States, Canada, Mexico and the Republic of Panama, with Shrine Clubs around the world. There is, therefore, a special Shrine Pledge of Allegiance: “I pledge allegiance to my flag, and to the country for which it stands, one nation under God, indivisible, with liberty and justice for all.” Wherever Shriners gather, the national flags of the United States, Canada, Mexico and the Republic of Panama are flown. To better understand how all this works, an observer can start at a local Temple. All Temples are run by an elected Divan (officers), headed by the Potentate and the Chief Rabban. A Recorder, or record keeper/administrator, usually maintains an office at the Temple. One member is elected or appointed to the “lowest rung” each January and under traditional practice moves up one “rung” each year. Thus, by the time he becomes Potentate of his Temple, a Shriner usually has at least four years of experience in Temple leadership. The 191 Shrine Temples are governed by the Imperial Council, which is composed of Representatives. The Representatives of the Imperial Council include all past and present Imperial Officers, Emeritus Representatives (who have served 15 years or more), and Representatives elected from each Temple. A Temple may have two Representatives if its membership exceeds 300, three if more than 600, and four if more than 1,000. These Representatives meet once a year — usually in July at the Imperial Council Session — to make policy decisions and legislation regarding both the fraternity and the hospitals. With nearly 900 Representatives, the Imperial Council constitutes one of the largest legislative bodies in the world. The Representatives also elect the Imperial Officers. The President of the Colorado Corporation and members of the Board of Trustees for Shriners Hospitals for Children are elected by the members of the Colorado Corporation. The Imperial Divan, the Shrine’s international governing body, consists of 13 officers plus an Imperial Chaplain. The Imperial Treasurer and the Imperial Recorder may be elected for several consecutive years; they are the only officers receiving any type of compensation. As with Temple Divans, an officer (with the exception of Treasurer and Recorder) is elected to the bottom of the Divan and, barring unforeseen circumstances, moves up one position each year. These officers, elected from among the Representatives, are usually past Temple Potentates. The Divan plus the immediate Past Imperial Potentate constitute the Board of Directors of the fraternal corporation and they, with the Chairman of the Board of Trustees, constitute the Board of Directors of the hospital corporation. The day-to-day operations — keeping the records and accounts of the fraternity and hospitals, supervising the estates left to Shriners Hospitals and producing printed materials for the entire Shrine organization — are carried out at International Headquarters in Tampa. These offices are supervised by an executive vice president of the Imperial Council, an executive vice president of Shriners Hospitals, and a legal department, which is under the supervision of a managing attorney. However, complex the Shrine may seem, its essence is the fraternal fellowship for which it was originally founded. It has been said that there are no strangers in Shrinedom. This is evident in the great times and laughter wherever Shriners get together, whether in a local Shrine Club meeting, a Temple ceremonial, a Shrine Association gathering or an Imperial Session. All Shriners share not just a Masonic background but a zest for living.